The Lost Reels... Un Pur Moment. The Lost Reels... Un Pur Moment de Glisse. a video of Jamo and Matt showing us how it's done proper on their surfmats. It doesn't matter what the conditions, Mark can make any wave epic! Part man, part jetski, Mark's unique style propels him under water and bursts through the middle of a wave with enough power to get almost completely out of the water. Source: Clovellly SLSC photograph extrait de: Cadigan, N. (2008). Evolution d'une icône: 100 ans de sauvetage en Nouvelle-Zélande. Merci à Benoit pour cette photo. Krypt Surf Technology Junior Series Surfmat It does not have to get any more complicated than this. The simple joy of playing in the ocean with my grandsons Jake and Spiral teaching them how to surf. 6 year old Jake Bailey Thomson at home on the Far Nth Coast riding his Krypt JT5 Surfmat. Winter Soltice 2014. 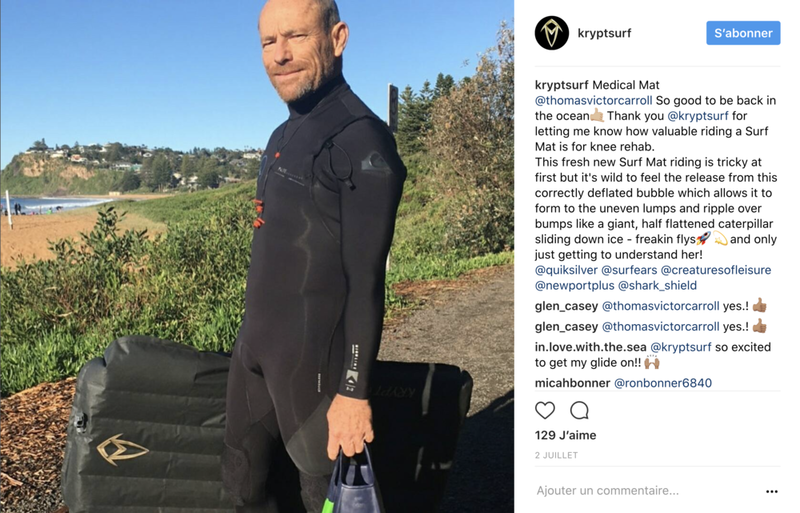 Surfmat Designs by Mark Thomson and Krypt Surf Technology. George Greenough Mat Riding on a Converse-Hodgman on Maui in 1967!